In the days of the New World, when blank pages of the map were being filled, the French-founded city of Orléans became a grid of life for immigrants, peasants, convicts and aristocrats. Streets and rues directed lives to interact and blossom into a new colony for the following three hundred years. Along these paths people from all walks of life continue to stroll, passing centuries-old addresses that are paved in the light of the twenty-first century clinging to the remembrance of yesteryear. Nowadays, most American addresses can be Googled or found via GPS, very few locations unmarked, uncovered, or untouched. But here in New Orleans, there are alleyways where cars never venture, and therefore the sense of untracked territory lingers along certain narrow lanes of flagstones and haunted histories. The dusty ruins of the past hide souls from long ago, whispering legacy and lore through lamenting fog. Between the former Place d’Armes up to Rue de Royale – now known as Jackson Square leading to Royal Street – an open walkway once called Orleans Alley South cuts snugly between St. Louis Cathedral and the Cabildo, an old civil prison and courtroom now used as a state museum. Over the years, this passageway has been cobblestoned and renamed Pirate’s Alley due to its swashbuckling legends. It is here that ‘X’ marks the spot, for some say a treasure map is needed to find the hidden Pirate’s Alley. Others tell stories of love and honor, pirates and patriots, authors and artists who have lived, loved, and long since passed. Images of the buccaneer Jean Lafitte are immediately conjured when mentioning Pirate’s Alley, for it is this thoroughfare where Lafitte once rested his cutlass on rustic tables after his adventures in the Gulf. It is also reputed as the meeting place of General Andrew Jackson and Jean Lafitte where they formed an unlikely alliance, planning a successful defeat of the British at the Battle of New Orleans in 1814. Such folklore chimes like bells from the Basilica, ringing true the stories of Lafitte’s pirate fleet squandering their plundered pieces-of-eight in New Orleans, splurging on gambling, whiskey and women before careening ships, repairing rigging, and setting sail for seafaring voyages across the Caribbean. In a city of legendary allure, with adventure and inspiration at every corner, it comes as no surprise that a young writer named William Faulkner once lived in a canary-yellow house on Pirate’s Alley while writing his first novel, “Soldier’s Pay.” Faulkner, an American novelist who was honored with both the Nobel Prize and the Pulitzer Prize, visited New Orleans in 1924 during his early beginnings as a writer. His former dwelling has become an architectural and literary treasure, housing Faulkner House Books on the first floor and a private residence above with its glorious view of St. Anthony’s Garden behind St. Louis Cathedral where aspiring authors may visit and muse. Down this roughly paved passageway where uneven stones show decades of neglect, a snug café resembles an edgy side of the bohemian lifestyle. 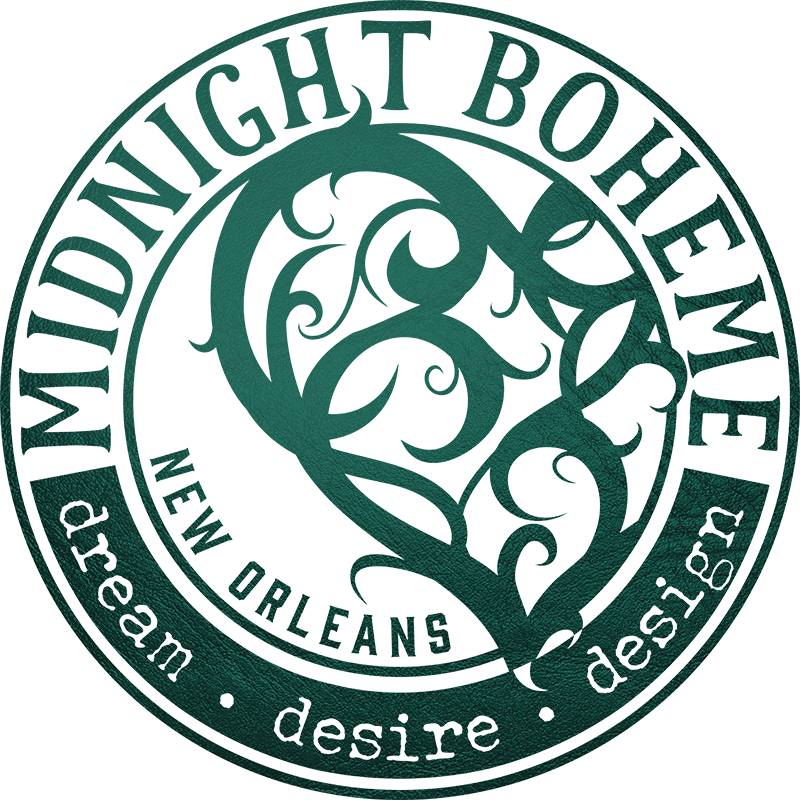 Pirate’s Alley Café & Absinthe House serves as a local watering hole for penniless artists and notorious scalawags who linger beside the famous lamppost at the cross-section of Pirate’s Alley and Cabildo Alley. This historical spot marks a unique location, for nowhere else in the world does Church, State, and Bar (St. Louis Cathedral, the Cabildo, and Pirate’s Alley Café, respectively) stand in such close proximity. Day or night, the narrow alleyway continues to romance and bewilder with its moisture-covered surface giving shine, reflecting the dim glow of the single lamppost intersecting the most painted and most photographed spot in the city. Foreboding or inviting, Pirate’s Alley bids welcome to all who discover the thoroughfare’s mysterious whereabouts.